LUNA sweatshirts and union whales! 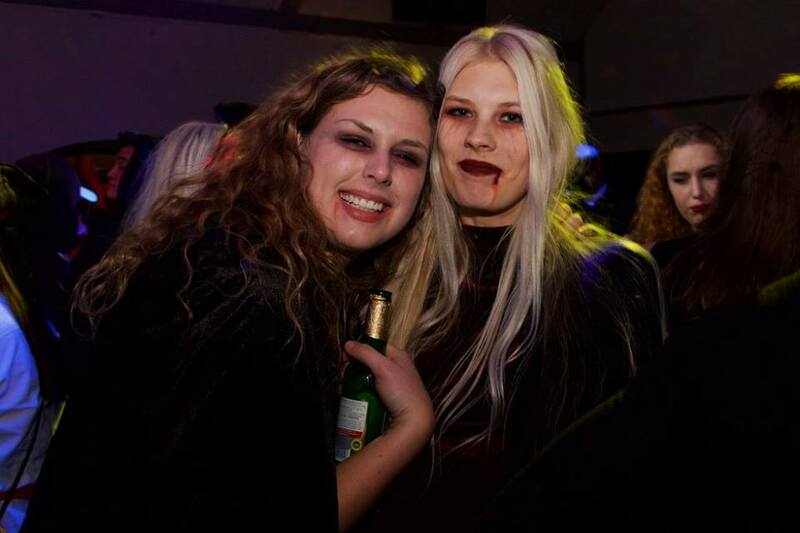 Have you seen strange people in LUNA sweatshirts hanging around at your student council fika during the past week? Maybe accompanied by a paperwhale on a stick? That is the sign on that the union election is getting closer. On the 17th and 19th of April is it time to elect new people to all posts within the union. Therefore, is the nomination committee, together with the information committee and the board campaigning to get candidates for the post. The procedure is easy. Through visiting fikas, they try to reach out to students at the different institutions and make them candidate and nominate people to union positions! Have you not been lucky enough to pass by the campaigning people? Do not feel sorry, you can still nominate whoever LUNA member you want to a position in the union. Just klick in to the union webpage and hit the” Election 2018” button. There you find a formula which you fill in to nominate or candidate, but do not forget that there should be motivation for the nomination at a minimum of 30 words. All nominations are more than welcome, and you might make someone very happy through showing that you believe in them. 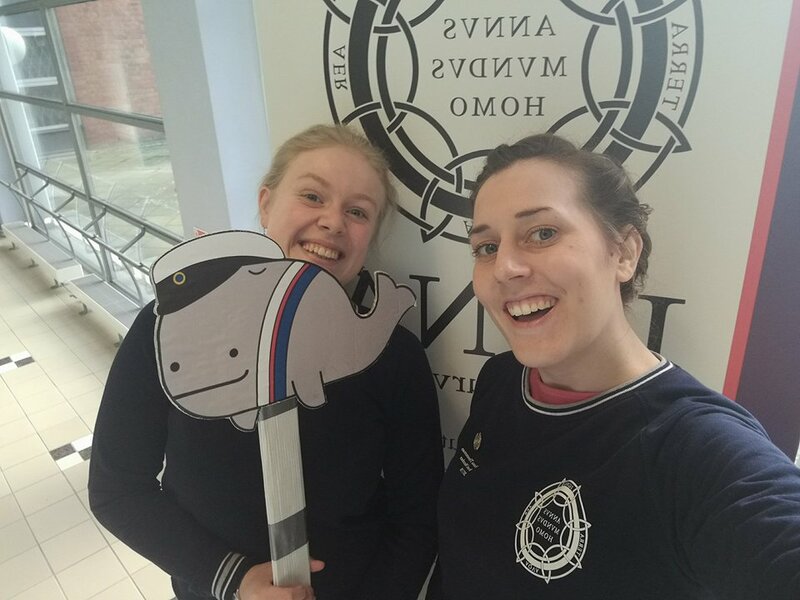 The campaign will continue and do not be surprised if LUNA sweatshirts and whales (kårvalar) shows up outside your lecture hall. They are nice, not scary. You are very welcome to talk to them, ask questions about the union election or about life in general, or let them help you to nominate. Because you should not forget to nominate, it is both important and fun! Read detailed information about the election on the webpage here. You can contact the Information Committee at info@luna.lu.se. If you want to find out more about the union, you are always welcome to stop by the union office or simply browse our webpage. You can contact the union via this form (you can be anonymous) or by e-mail at luna@luna.lu.se. A new year has come, and with that is it also time for new exciting events within the union. One of the biggest, and probably most spectacular of them all is Utopia, the science unions own annual ball. The tickets to the ball will be released to all LUNA members this Thursday, 1st of February at 18.00, and for everyone one week after that, 8th of February. These dates are important to keep in mind if you want a ticket, since the demand for tickets is great. Last year, all of them ran out in two minutes at the first release. ”So, why that great hype?” you may ask yourself. 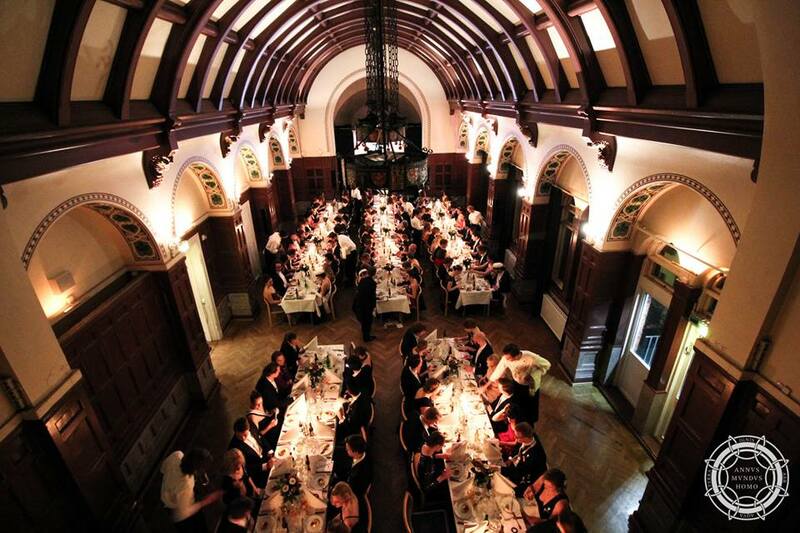 Well, there are many reasons to attend a ball, and there are many students within LUNA who has lovely memories from the ball last year. However, the information committee decided to ask the ball masters from this and last year for their best reasons to attend UTOPIA. Alisha, who is one of the two ball masters in charge of this years ball, answered the question with that UTOPIA is the ball of the science union, which you definitely don’t want to miss! Furthermore, she says that it is a great opportunity to make memories for life together with good friends, or to put it simply, it will be awesome! Johanna and Daniel, who had Alishas job last year lists a few other reasons to join the UTOPIA family. First of all, balls are one of the most central and student-like parts of the student life. It is much more than just a sitting, it is a part of the history of LUNA. The union had a ball many years ago, but the tradition disappeared and was brought back to life again last year. Apart from that, UTOPIA is an evening when you get the chance to dress up in your finest clothes and be surrounded by lovely LUNA people a whole night. And maybe one of the most important things, you get delicious food which you don’t need to cook by yourself! The information committee wished you all good luck at the ticket release on Thursday and hopes that we will meet in AF-borgen at UTOPIA! JoL-Afton – What can we do? What LUNA can learn from others – an interesting discussion night. 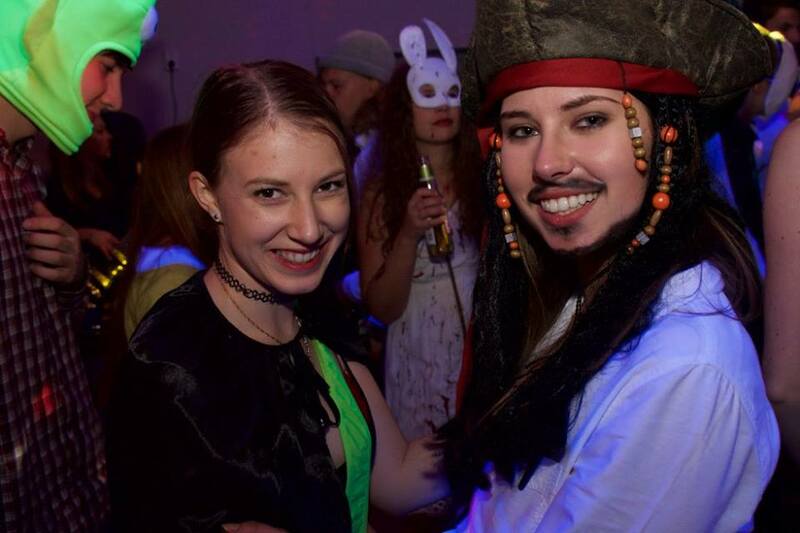 It is December the 6th and the Gender and Equality committee hosts a JoL-afton in Lundmarkssalen. It does not, if you might think so, have anything with christmas to do. Instead, it is a discussion night open for everyone, were values within the union are discussed. 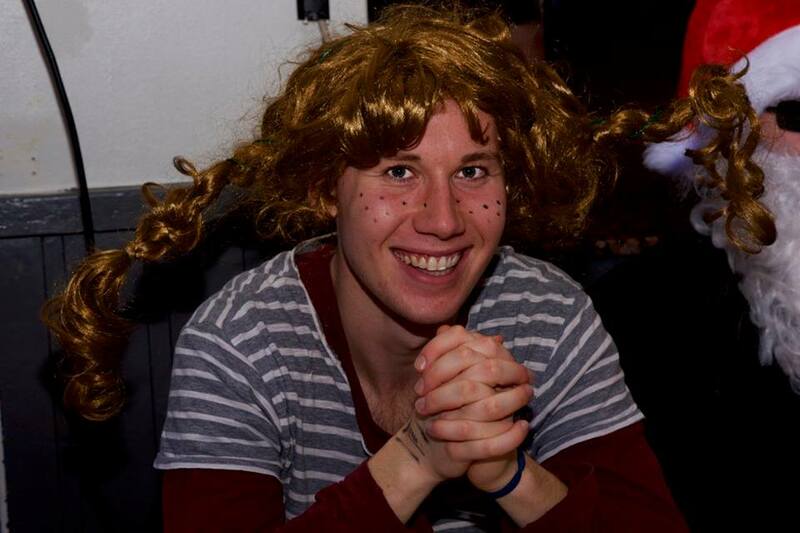 To get the discussion started, the committee has invited the head of the gender and equality committee at the F-section at TLTH, Robin Berneståhle. He introduces the attendees to a project that was done at the F-section during the spring, through which values at the section were charted. The tools used to do that were discussions with lots of members of the F-section, both active and non active ones, as well as collecting written thoughts from members. Since it was possible to be anonymous when giving information to the project, lots of information was collected. Robin shows a huge bundle of papers to the attendees of the evening and it is easy to understand the wide range of the project, which has made the section better on criticizing itself and being able to see how more people can be included. After the presentation, which is nicely performed, especially through showing papers which have been part of the investigation, the attendees of the night are split into three different groups and interesting discussions appears. The questions brought up were among other values within LUNA, what we can learn from the investigation on the F-section and were you can turn if you of some reason not feel mentally well. It is really important that these things are discussed and that the union is aware of which values people see in their work. The discussions during the evening and Robins presentation were therefore a great start at a discussion that should be incorporated in all union work! You can contact the Information Committeeat info@luna.lu.se. If you want to find out more about the union, you are always welcome to stop by the union officeor simply browse our webpage. You can contact the union via this form (you can be anonymous) or by e-mail at luna@luna.lu.se. Welcome to the Faculty of Science at Lund University. 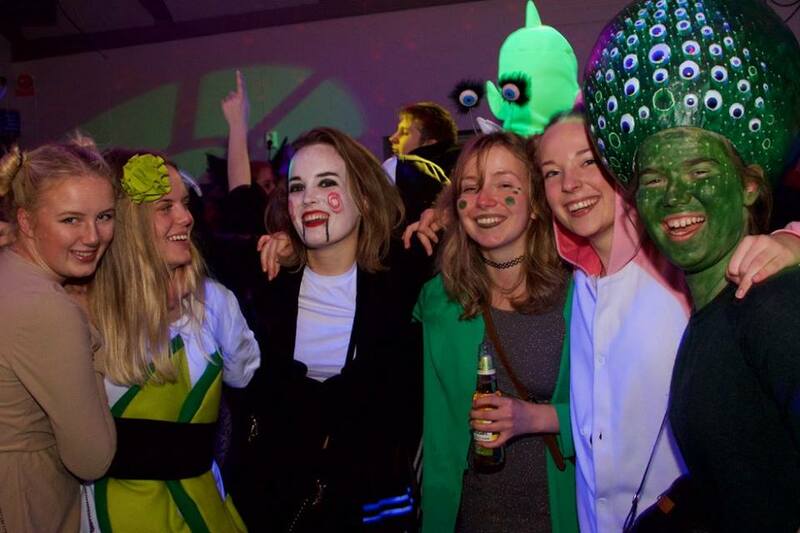 We are your student union, LUNA, that through over one hundred volunteering students works to ensure that your time in Lund will provide you with a high quality education and a great time. We represent you and protect your rights. In accordance with Swedish law, every decision making and preparatory body at the university, faculty, and every department, has student representatives. These are elected and organised by the union and work to bring forth the students’ opinions. This means that wherever the important decisions are made, we are there to ensure that the university listens to its students and does not violate your rights. We improve corporate relations. LUNA works to improve the connection between your studies and the labour market. We do so by working both locally to improve integration of corporate aspects in your studies and hosting the annual career fair called ATLAS. 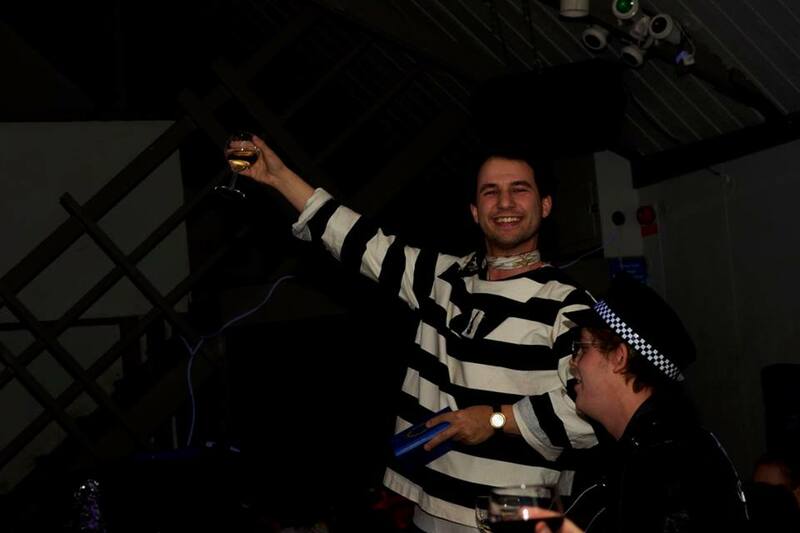 We arrange a variety of social activities. The Party Committee regularly arranges so-called ‘sittnings’ and other social gatherings for our students, our Gender and Equality Committee regularly arranges discussion evenings on different topics, our Mentor Committee arranges events to introduce new students (novisches) to the student life, the Sport Committee does, well, sports, and we host an annual formal ball, UTOPIA. We are here to help you. If you run into trouble of any kind during your studies or if you are unsure about anything, contact LUNA. You can send us an e-mail, use the anonymous form on our contact page, or visit us during our office hours. Depending on what field you study primarily, you are part of one of the six student councils. The events and meetings arranged by your student council is a great way to meet new and interesting people. The student councils are your representatives at each department. 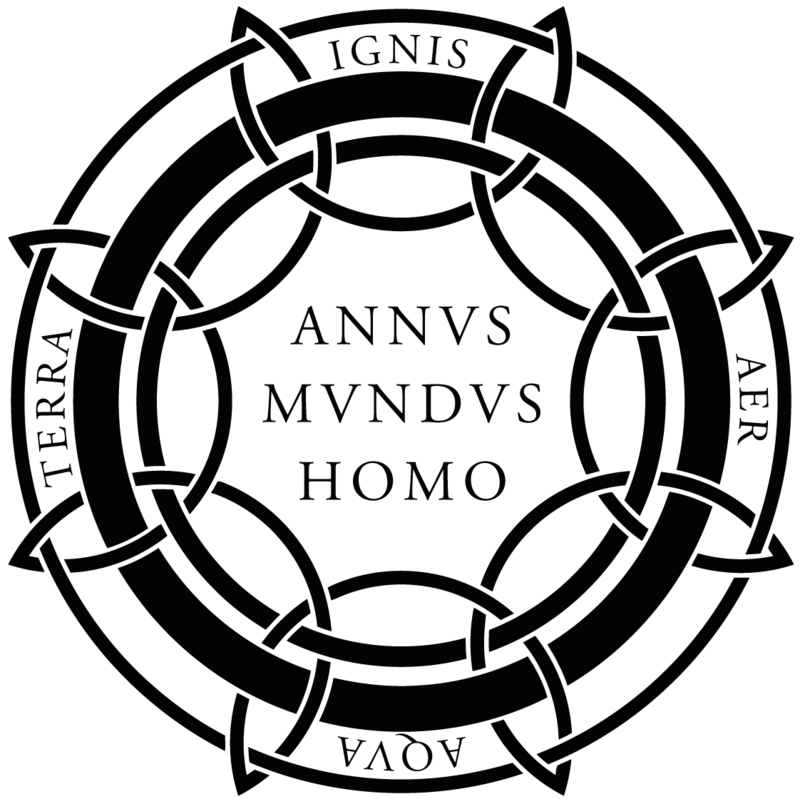 BÖÖL – The student council for biology and molecular biology students. Stay up to date with events arranged by the union through the Zenit newspaper which you will find on most of the toilets at the faculty and online. In addition to Zenit, you can follow our Facebook page and browse here on our webpage.  Finally, make sure to become a member of Studentlund so you can take part in the various student activities arranged by the student organisations of Lund and receive your student discounts. It is mandatory for participating in the events arranged by the unions and nations that are part of Studentlund to be a member of Studentlund. You can find more information about what is important as a new student in our novisch guide. We hope you have a good time here in Lund and look forward to meeting you. 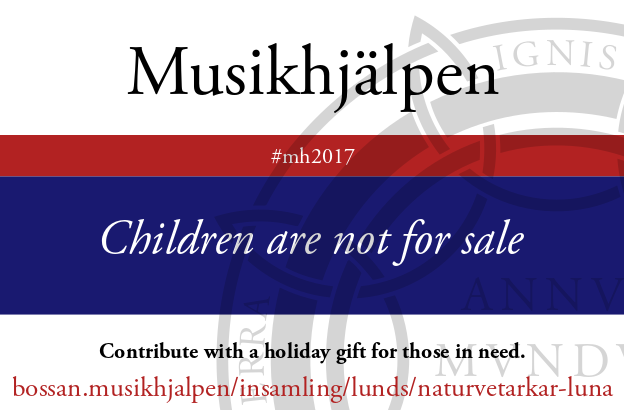 Musikhjälpen is an annual event arranged to gather funds for a charity project. This year the theme is ‘Children are not for sale’ and the money donated will go towards fighting child trafficking. LUNA has started a so-called ‘bössa‘ which you can donate through. Let us do our best to help this cause! “It is quarter past, so I think we should start!” The health, environment and safety committee has gathered in the sofas inside the union office and the chairperson Leo is eager to start the meeting. After he has taken the role as secretary upon himself, the committee members are allowed to report everything that has happened at their institutions since the last meeting. But there is not that much to say. The committee is pretty small, just one member from each student council and the chairperson, and many of the institutions have not had any HMS-meetings. So, after reports regarding new microwaves at the centrum of geology and new chairs in the Ecology building, the members do not have much left to say, and Leo takes the word back. He quickly mentions that the list of student rights will be updated, and that there have been discussions about the possibility to have English speaking members in the health, environment and safety committees at the different faculties at the university. After that, he begins to present the results from the” Are you okay?” survey that the committee conducted this spring. At this point, everyone present seems to become way more interested in the meeting. It is totally quiet when Leo shows the level of stress students feel at the different institutions. The aim with the “Are you okay?” survey was to see how students at the faculty of natural sciences felt, and there were questions about stress, if you feel like you will manage your courses and if you like your study environment, etc. The investigation was successful. 463 answers were received, which corresponds to one third of the students at the faculty. And from those answers, Leo has put together the colourful graphs that he shows the meeting attendants. The discussions about the graphs are both engaged and touching. Some of the attendees wanted to know why students at their institution had a stress level at the verge of collapse. Other tried to explain different phenomena from their own experiences. What is clearly shown is though that the situation is not the same at the different institutions. Some are good at answering emails, others have students who generally sleep bad. But the fact that a significant amount of the students who answered the survey have sought help for mental illness is a sign that something needs to be done. The work done in the environment, health and safety committee are important, because no student should have a stress level on the verge of collapse. The second discussion evening will be dedicated to a discussion regarding what can be done to combat issues such as sexual harassment in the university world which has been actualized under the #metoo and #akademetoo calls. 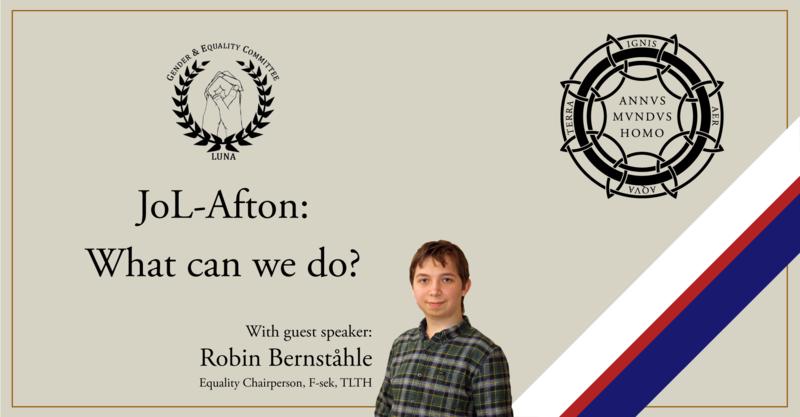 Our guest speaker, Robin Bernståhle of the F-Section at TLTH is the current equality chairperson. In march 2017, an anonymous engineering student wrote about their experiences of being ostracized (sv: utfryst) and the spreading of rumors at their engineering section. After som time, several other students had been writing about similar experiences at their section. 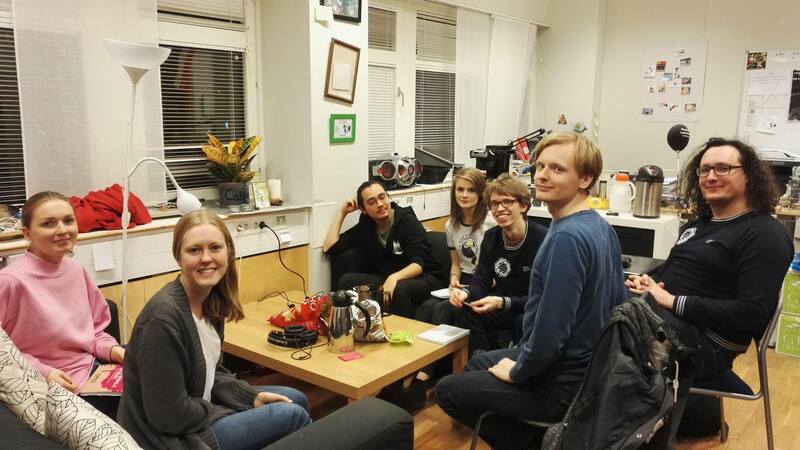 The equality committee (sv: likabehandlingsutskottet) took it upon themselves to investigate the situation and is expected to release their results in December. Robin will speak to us about their methods for culture analysis and what they learned during their work. The evening takes place in the Lundmark lecture hall in the astronomy building, 18.00 on the 6th of December. Join the official event for updates. 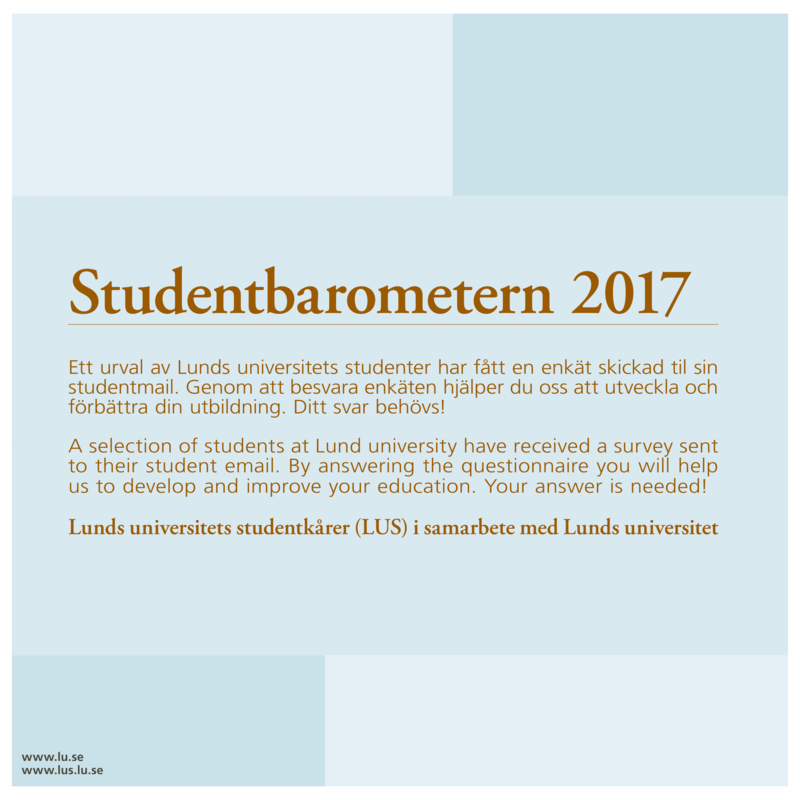 Lunds universitets studentkårer (LUS), the umbrella organisation for all the student unions in Lund, has created a survey in cooperation with the university. A selection of all students will have received the survey through their student email. If you have not already, check your inbox. The student barometer is an important tool for both improving and ensuring the quality of education, and the health and safety of our students. In related news, the union Health, Environment and Safety Committee (HMS) is working on a report of LUNA’s own survey of psychosocial helath of the students at the Faculty of Science, entitled Are you okay?. The report is expected to be released in early 2018. Lophtet is filled with people. They are everywhere, even though they do not look exactly like people. Among other things there are angels, pumpkins, a piece of sushi and a lot of vampires. The reason to why people in this quite odd mixture of costumes have gathered is that LUNA’s party committee is hosting a Halloween sitting. And they do not just host it, they do it in a really good way. You cannot imagine that it is the first sitting they host. Food is served quite fast, they keep track of everything and they have hired a wonderful photographer and two fantastic toastmasters, who manage to keep the hype up with songs and laughter. Because meanwhile everyone sing well-known songs with high voices, songbooks are passed around to get new notes and people are cheering. You cannot see anyone feeling bored, not even when you pass the whole room and press yourself against the wall to reach the toilet. It is necessary since the hall is filled to its maximum. The LUNA members where as hyped to get their tickets as they are during the sitting. Everyone want to join, and the hype reaches its peak when the sitting is over and LUNAs own band Fission Ships enter the stage. They make the whole bunch of people dance together until they cannot think of anything other than the dance. Apart from that, the band really makes the sitting to something other than a usual sitting at a nation. This is LUNA, and this is how fantastic we can organise things if we try our best. Because even though the vegetarian food is way too spicy to eat, the night is marvellous. There are people laughing everywhere you turn and the night does not end until the party master tells everyone to leave at 02.20. That fact alone is a good grade for an awesome night! You can contact the Information Committee at info@luna.lu.se. If you want to find out more about the union, you are always welcome to stop by the union office or simply browse our webpage. You can contact the union via this form (you can be anonymous) or by e-mail at luna@luna.lu.se. See more pictures at the Facebook page. 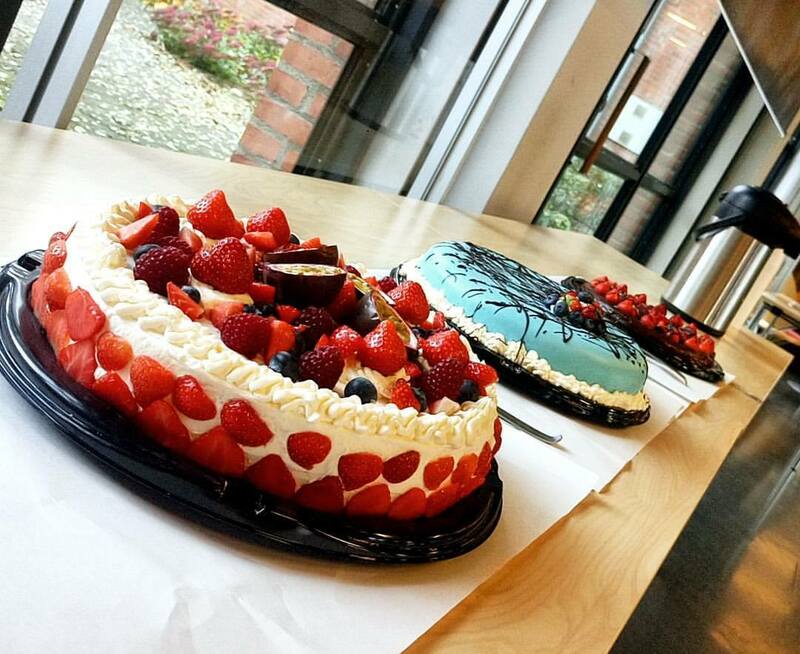 Yesterday was the Science Student Union’s twenty second birthday. We celebrated twenty two years of educational monitoring in the reception of the Astronomy building with cakes, coffee and a selection of interesting historical artifacts from the Union’s archive. For example, did you know that LUNA used to have a printed newspaper for all our members (wether they wanted it or not) or that we have the ashes of an old agreement between the then central union, Lunds Studentkår, and LUNA from when Lunds Studentkår split into the faculty unions we know and love today in an old honey jar?